In order for a police officer to stop you for drunk driving, he or she must have “reasonable suspicion” that you either violated a traffic law or engaged in criminal activity. There are various factors that your DUI lawyer in Memphis will need to take into consideration in determining whether your case has a viable motion to dismiss for lack of reasonable suspicion. 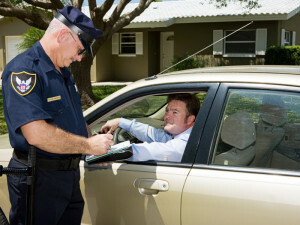 One of the most important factors to consider in determining the lawfulness of a DUI stop is whether the arresting officer personally observed you committing a traffic violation. Although there are a number of situations where an officer is justified in stopping a driver without having observed a traffic violation, the majority of DUI stops begin with the officer observing a violation of a traffic law. The Supreme Court has held that in order for an officer to legally pull over a motorist for a traffic violation, he or she must have a reasonable and articulable suspicion of some sort of unlawful conduct. The officer need not have probable cause to stop a motorist. The probable cause is not used for a detention; it is used to determine the propriety of an arrest. The standard for reasonable suspicion is quite vague in terms of evaluating the lawfulness of a motor vehicle stop, both for the arresting officer and your attorney. However, the difference between the officer and your lawyer is that the officer had to make a quick decision, while your lawyer can spend more time analyzing the facts of your case. There is no magic formula to determine whether you case might have a viable motion to dismiss for lack of reasonable suspicion. Moreover, it is not always wise to bring this type of motion in every case. Therefore, you should always consult with an experienced DUI lawyer in Memphis to determine the merits of your case. To schedule a free consultation with DUI attorney David Willis, please call (901) DUI-DAVE.